A Multistakeholder open consultation meeting to discuss the launch of the Arab Internet Governance Forum (AIGF) was held during the period of 31/1 – 1/2/2012 in Beirut, Lebanon. The open consultation was organized by the League of Arab States (LAS), the United Nation Economic and Social Commission of Western Asia (ESCWA) and the Council of Ministers of the Republic of Lebanon. The open consultation was sponsored by Kuwait Information Technology Society and RIPE NCC and was attended by the IGF secretariat. More than 50 participants representing stakeholders from governments, private sector, civil society and regional organizations in the Arab World attended the open consultation and engaged actively in discussing the importance of an Internet Governance Forum for the Arab World. The open consultation was carried based on the request of the Arab Telecommunication and Information Technology Council of Ministers (ATICM) to seek feedback from various stakeholders on the need for an Arab IGF. The ministers requested it after receiving the outcome of an expert group meeting that was organized by the ESCWA in October 2010 which emphasized on the need to have a dialogue on Internet Governance with relevance to stakeholders in the Arab World. During the open consultations, a strong consent emerged on the need and the importance for the Arab IGF especially with the turn of events in the region and the major role of the Internet in these events. A report recommending the establishment of AIGF was drafted by the participants and forwarded by the LAS Secretariat to the Executive Bureau of the Arab Telecommunication and Information Technology Council of Ministers (ATICM) on 2/2/2012, who welcomed the outcome, endorsed it and recommended the active participation of all stakeholders, including governments, in the Arab IGF process. The participants in the open consultations focused also on the goals of the AIGF and its structure. There was consent to adopt a structure similar to the IGF’s current structure with a secretariat and a Multistakeholder Advisory Committee (MAG). 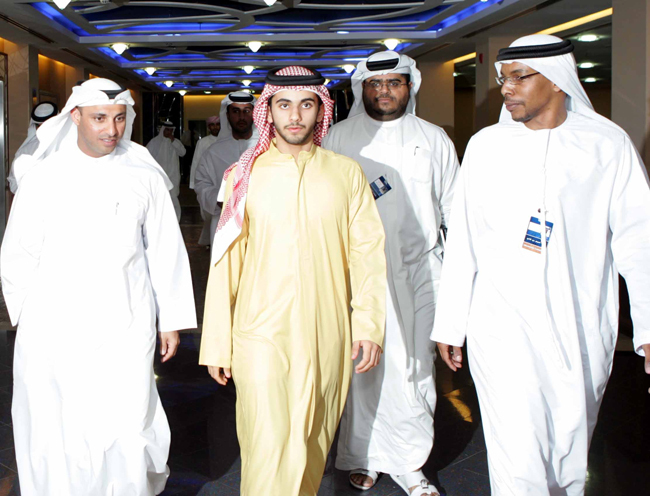 A proposal was made by Kuwait Information Technology Society to host the First Arab IGF in Kuwait in early October 2012 and a proposal was made by the Republic of Egypt National Telecommunication Regulatory Authority to be the AIGF secretariat. There was an agreement and consent on both proposals by the participants. It was agreed that a public announcement for the MAG membership will be made to give the opportunity for all stakeholders in the Arab world to express their interest to participate in it.  Focus on discussing public policies related to Internet Governance especially in the areas of access, stability, security and development.  Facilitate the exchange of information, best practices, knowledge and lessons learned by involving experts, technical community and Academics.  Gather different opinions and build consensus for unified Arab views on priorities and on mechanisms to respond to Arab countries needs related to Internet governance issues.  Discuss emerging issues and present recommendations on it.  Build and develop capacity in Internet Governance as well as improve the participation of all stakeholders to benefit from all possible resources of knowledge and expertise.  Communicate globally the Arab positions and enhance the Arab role in formulating Internet Governance policies.  Outreach with the Internet Governance Forum and other regional IGFs with purpose of exchanging knowledge and expertise. we know what Difference between Programmer & IT Employee. many people like life but them miss some thing we support them.